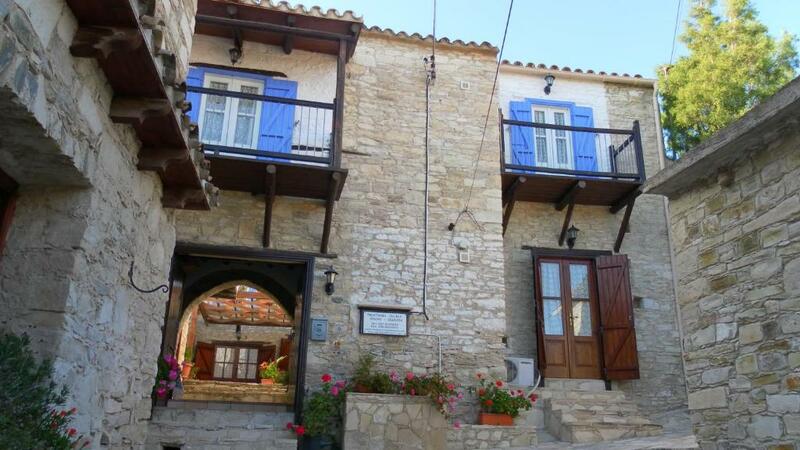 Lock in a great price for Traditional Village Houses – rated 8.2 by recent guests! Everything was perfect! 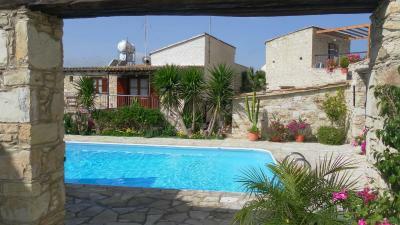 Location, easy access by car to Larnaca, Limassol, beaches, supermarket, ....etc. Owner and employee are so lovely! 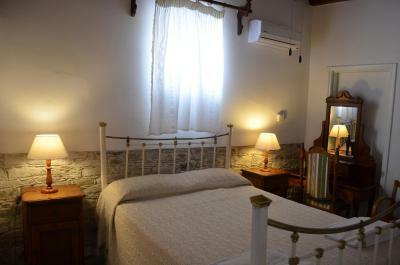 Cleanliness of rooms and entire property, relaxing athmosphere, authentic traditional quite small village! Thank you so much! We had a wonderful holidays! 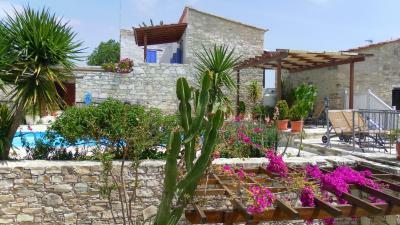 It has a wonderful little yard with flowers and swimming pool and lots of friendly baby kitties! 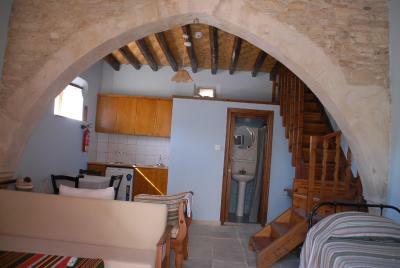 The architecture of the apartment was stunning and very traditional! It was also very clean. The staff was the best! Very helpful and with a smile on their faces!!! We enjoyed every moment of our stay! We enjoyed the fact that there were tea bags, coffee and sugar to use for next morning. Also that we had warm water to shower and balcony with great view. 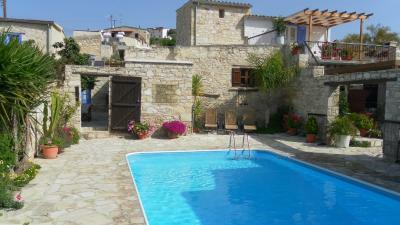 Nice village, nice common pool and outdoor areas, late check in was not a problem. One of the best places to stay if you have a car. 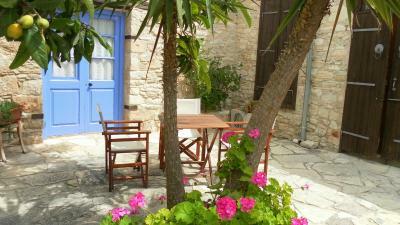 There are lovely, comfortable and quite Maia beach in 20 minutes drive, supermarket and McDonalds in 10 minutes by walk. Everything was ok. The Asian girls (staff) where great always with a smile. The room was ok too. We had a nice in yard for a nice glass of wine. We had 2 pools to choose one small one main big. WiFi was working great in the communal areas. 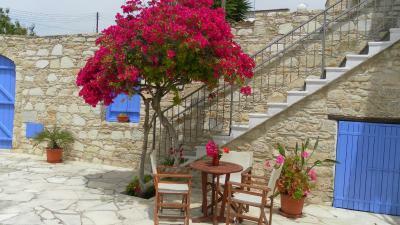 Very beautiful place, quiet with a lot of space, terrace and swimming pool, flowers around, I would recommend it to everyone who want to rest. It is not so far from highway and you are in 20 minutes on the beach by car. 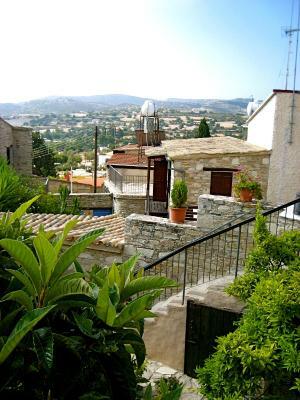 Located in an area of outstanding natural beauty, these rustic, self-catering houses in Skarinou offer an outdoor pool and a terrace with mountain views. 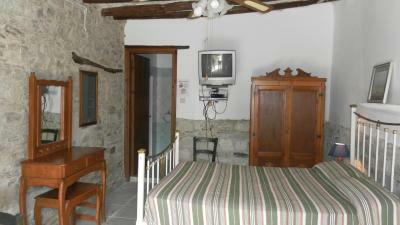 Wi-Fi is free throughout the property. The Traditional Village Houses are fitted with wooden furniture and Lefkara embroideries. 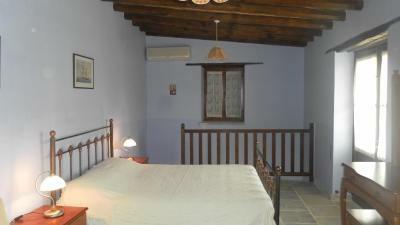 All rooms feature a balcony, air conditioning and a kitchenette. 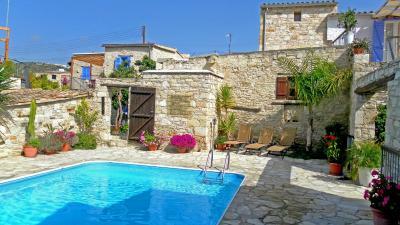 The houses have swimming pools and shaded terraces, offering the perfect setting in which guests can relax. 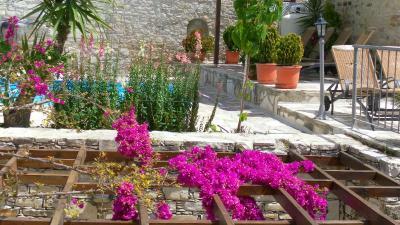 They are also in an excellent location from which to explore the rest of Cyprus, and there is excellent mountain hiking nearby. 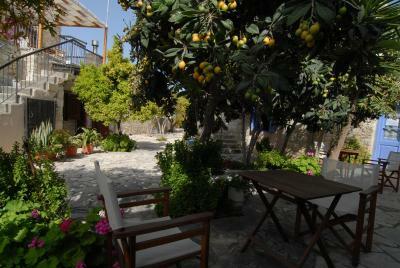 The historic Panagia i Odigitria church is just a few minutes’ walk from the Traditional Houses. Larnaca International Airport is 19 mi away. 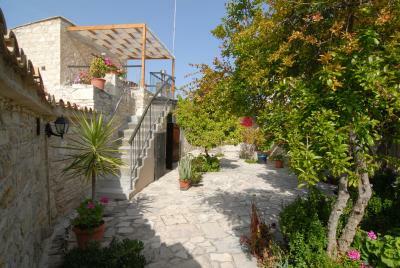 This property also has one of the top-rated locations in Skarinou! Guests are happier about it compared to other properties in the area. 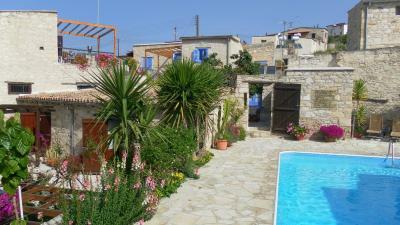 This property is also rated for the best value in Skarinou! Guests are getting more for their money when compared to other properties in this city. 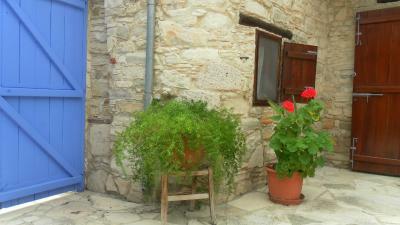 When would you like to stay at Traditional Village Houses? 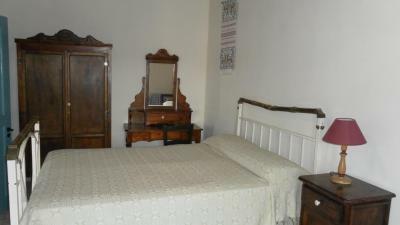 Features an open-plan kitchenette and bedroom. 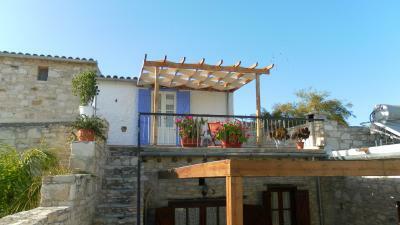 Includes an external shaded veranda. 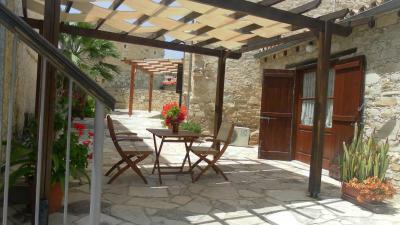 Apartment with balcony with village views or shaded terrace. It has a seating-and-kitchen area and a separate bedroom. 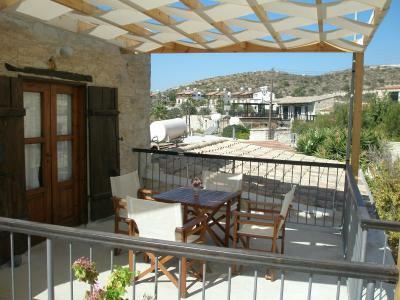 Large apartment with balcony with village view. 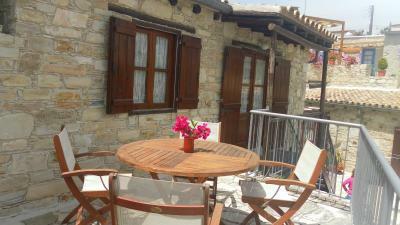 It consists of 2 bedrooms and a separate kitchen-sitting area or 2 large bedrooms, each with a kitchenette. 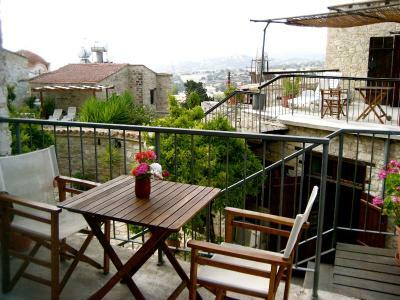 This spacious apartment has a balcony and a shaded seating area. 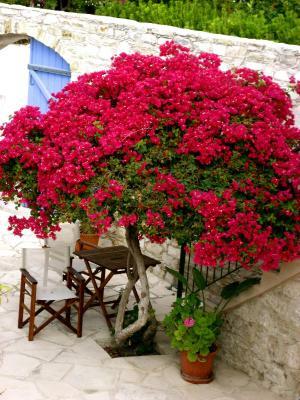 It can accommodate up to 4 guests. 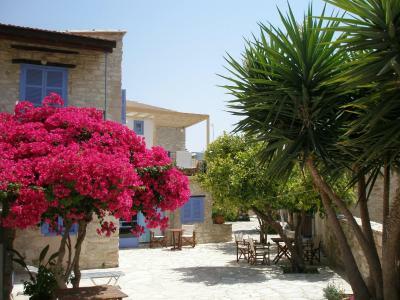 TRADITIONAL VILLAGE HOUSES SKARINOU is very centrally located. Is on the main road network. 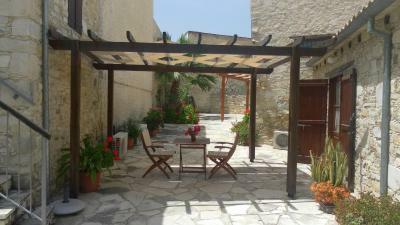 Ideal to use it as a base and explore the whole of Cyprus. 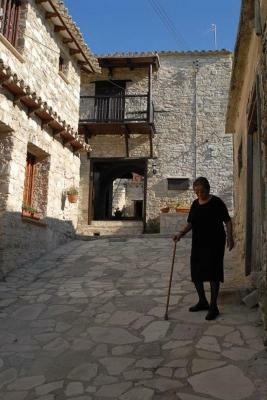 Traditional village Cypus architecture. 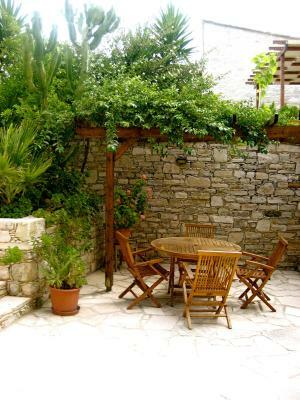 Built originally in 1820, with local stone, natural soil and wood. 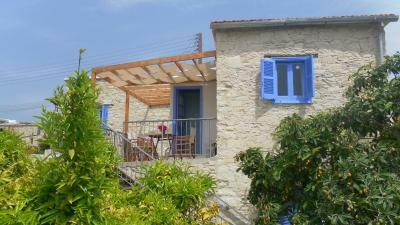 Renovated in 2006 with a lot of care using recyclable materials. Equipped wih all necessary facilities but keeping the authentic character. Each apartment has a unigue character and identity. 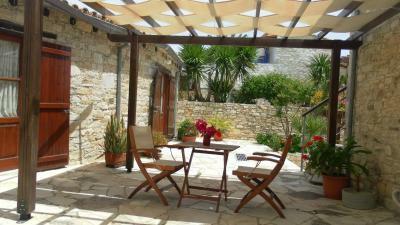 Stone paved courtyards and shaded verandas are offered for sitting outside or enjoying bookreading. It's a great place to stay and create beautiful memories. 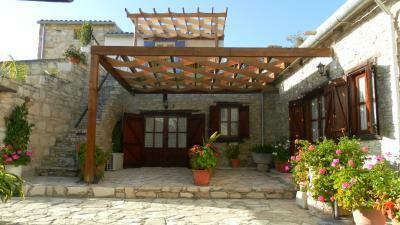 House Rules Traditional Village Houses takes special requests – add in the next step! Traditional Village Houses accepts these cards and reserves the right to temporarily hold an amount prior to arrival. 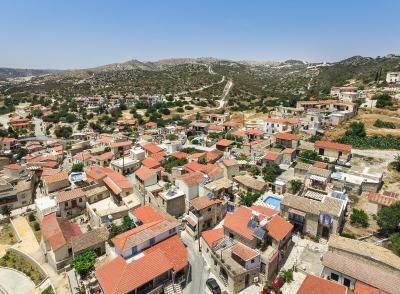 After you leave the airport, turn left on the 2nd round-about and get A5 with direction to Limassol. 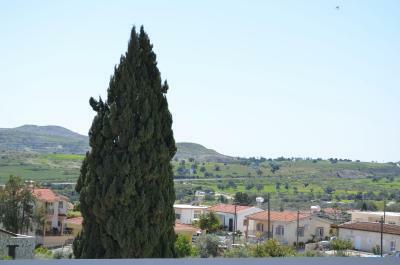 Driving in the motorway for about 20 minutes, you will find a left exit to Skarinou. After the exit, turn left again, you will pass under the bridge and after 1,650 feet you turn left and you will reach Traditional Village Houses at the entrance of the church. The location shved on booking.com does not drive you to the place. The object is near the church in the center of the village. You can also look for it on google.maps. 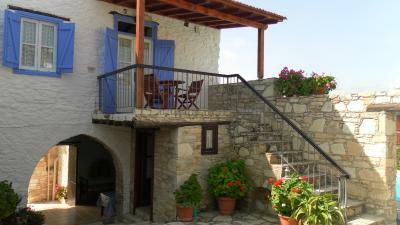 Perfect quite location with great access to the motorway to move around the island. There was no one to greet us so we had to ring to get someone to come. The main snag is that the only restaurant and the one they use for breakfasts is about 5 minutes drive away. If you expect people to put used toilet tissue in a bin I would expect it to be emptied more than once every three days and the kitchen bin too. No pool towels, no soap or shampoo in the bathroom with tired towels. I would class this as self catering. It was very quaint and picturesque. - Have not seen the person in charge at all (we had to call him to tell him that we were outside the locked "reception" and he sent a cleaner to give us the key) - Cleaners (who are the only people you will see working there) do not know greek/english, as a result you can not communicate with them - Cleaner forced us to pay in cash the whole amount for the room as soon as she gave us the key within our room (had no cash for the rest of the day). I told her i will pay by card and her answer was "only cash" (only words she knew i guess) - We mentioned that the pictures in booking.com were showing a balcony and room upstairs and asked if there is another room of the same type we booked that we could have (we wanted a balcony - one of the reasons we booked at that hotel). She checked her lists and found one but she told us that she will charge us extra €10 per day to give us that room. This should be free because when booking a room there is no option to choose between a room with a balcony and a room without a balcony - No shampoo, no soap for dishes, no sponge. The cleaner told us that we had to buy them. The refrigerator had lots of water inside because the ice melted down when it was switched off from previous tenants - One of the air conditions was (kitchen's one) was smelly - The swimming pool needs lots of maintenance. Needs to take out the water and fix some broken lamps and some dirty tiles (black tiles from dirt). Also, not enough space for all guests at the swimming pool area - We entered the "reception" when we need help (to ask about where we could find a bank to get some cash, as the cleaner wanted to pay the room in cash) but nobody was there - We could not find anybody to give the key back (ckeck-out), no cleaners around nor anybody in "reception office" - No easy parking - In my opinion (as i travel and book lots of rooms from booking. The WiFi in the room was very weak. It was working but it was very weak. One thing that we didn't like is that our room was away from the main resort-hotel. We would like a room inside to be honest. It happened a few times again to us since we occasionally do mini trips to the mountains around Cyprus. 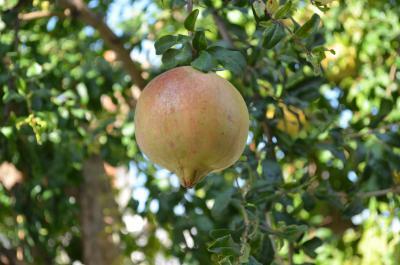 The nearby taverna was closed so if we wanted breakfast- described as good and available on site, , we had to walk quite a long distance along the road. 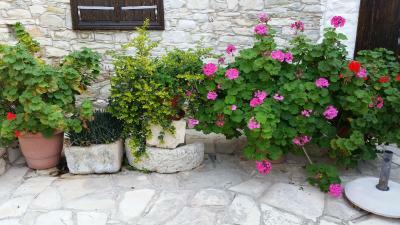 Very pretty complex of old houses, leafy courtyards, lots of flowers.